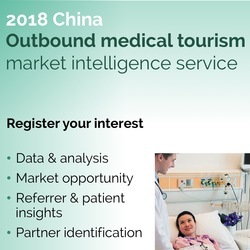 Global Growth Markets provides accurate data, reliable insights and strategic advisory services for international healthcare, medical technology and pharmaceutical companies. We help clients succeed in markets including healthcare service providers, clinical trials, APIs, generic drugs, pharmaceutical manufacturing and marketing, medical equipment, medical devices, digital health, healthcare IT and more.  Thanks to you and your team in China for a very thorough and detailed piece of work, which has really helped us to understand the opportunities in the market and where we go from here.